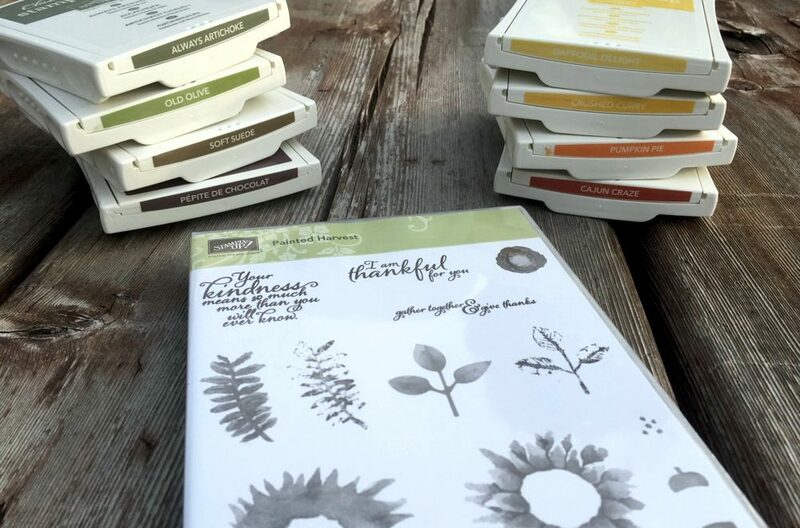 This card features base layers with a 1/16th inch reveal all around each layer, topped with decorative paper from Stampin’ Up’s Painted Autumn designer series paper. This is my second favorite paper in the package, after the brown zig zag paper. 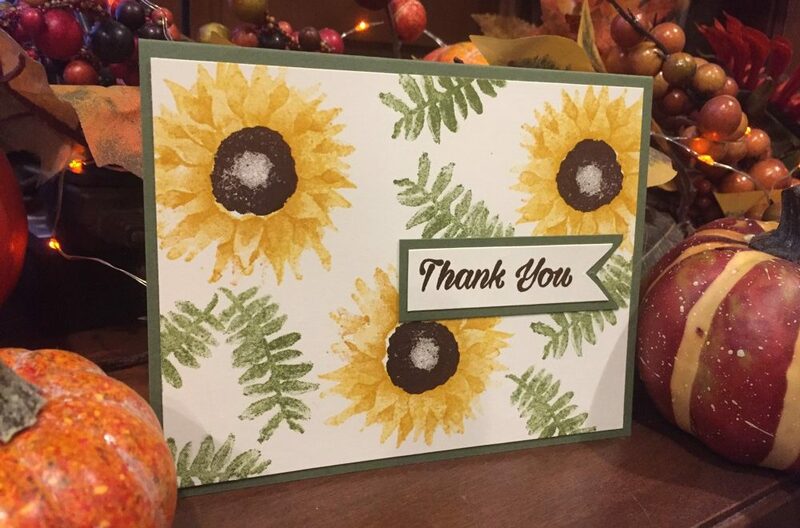 I also used the sunflower stamp from the Painted Harvest stamp set. I also kept it simple by using just to flower on the front, since the background paper is busy. While this particular card is presented as a thank you card, it could easily make a nice birthday card or sympathy card, just by swapping out the sentiments on the inside. And, the colors are appropriate for year-round use. 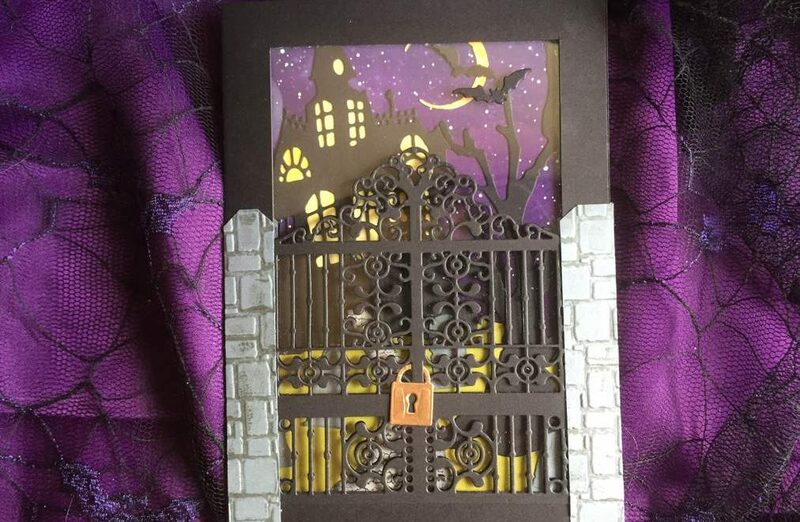 The dark brown cardstock was from a Coredinations Chocolate Lovers paper pack from Joann Fabrics. When I went back to find more, the current version does not have this dark brown. You could also substitute Early Espresso or Chocolate Chip from Stampin’ Up, as well as Bazzill’s Peanut Fudge. Given the number of pieces involved, a lot of time was spent on cutting paper to fit. Assembly went very quick once all the pieces were collected. Check out our other posts in this #LoveFallArt series here. We take a little break from loving fall art with an adventure into Halloween projects. Check out that series here.